There’s a story behind this recipe, and I’m sharing it with you as a part of Quaker® Oats Bring Your Best Bowl. Sometimes, you come to things later in life than you should have. Perhaps it was the fault of a not-so-good cannoli, tasted aeons ago, that led me to think that I didn’t like cannolis. There’s really no other rational explanation. I spent many years declining the classic Italian dessert, opting for tiramisu or affogato or some other reliable sweet, until a couple of months ago when my dad & stepmom brought me a box of goodies from a local Italian bakery. One bite, and my life was changed forever. Now I order cannolis almost compulsively. I can’t pass them up, and once consumed, they get ranked on my ever-evolving mental list of Cannolis I Have Eaten. 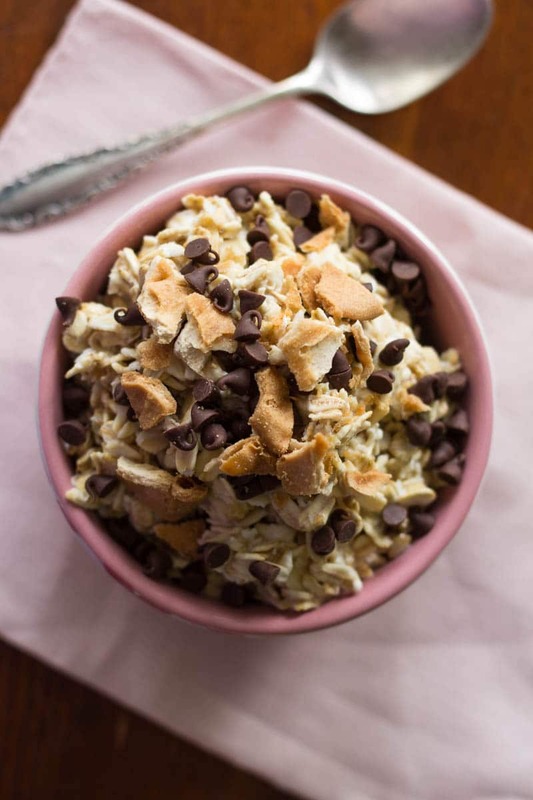 Spot number one goes to a restaurant that is unfortunately quite far out of my usual driving range, so I’ve decided to get creative and make a cannoli flavored overnight oats recipe that I can enjoy every morning if I desire. 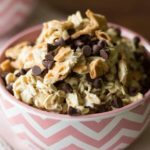 I was pretty new to overnight oats as well, but once I discovered them, I’ve enjoyed playing around with different flavors. And what could be better than a dessert flavor for a sweet breakfast? It makes you feel like you’re getting away with something. 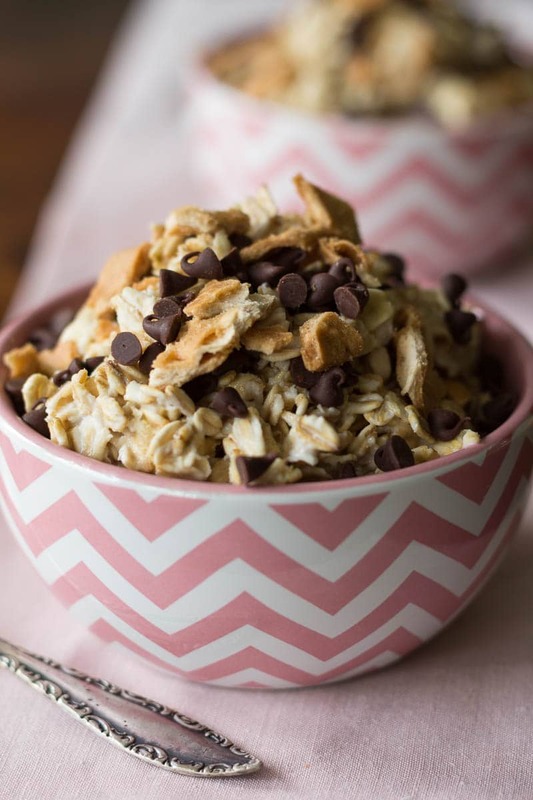 Want to see some more exciting oatmeal ideas? Ready to create one of your own? Then check out the Quaker® Oats Bring Your Best Bowl sweepstakes. Recipes for this contest can have between 2 and 5 ingredients (not counting milk, water, or oats), so keep it simple! You could win $250,000, and select entries will be recreated and sold in stores. Hurry, though, because the sweepstakes ends March 12, 2016. 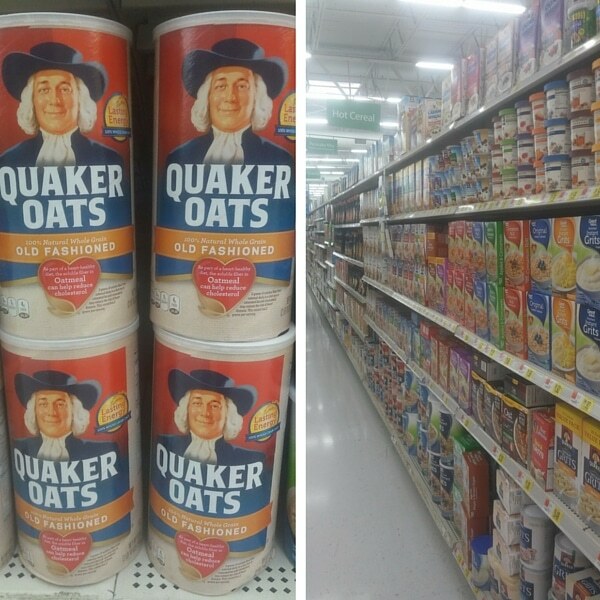 I picked up everything I needed at Walmart, including a canister of Quaker® Oats Old Fashioned Oats on the cereal aisle. 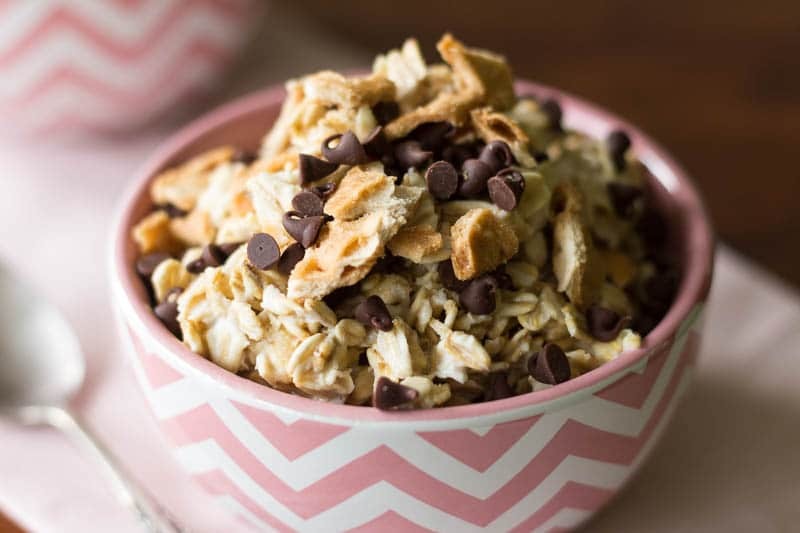 Classic cannoli flavors all in one sweet breakfast bowl! Transform your overnight oats with this homage to that wonderful Italian dessert, the cannoli. In a blender or food processor, combine the milk, mascarpone cheese, powdered sugar, and vanilla, then blend until smooth. In a bowl, combine the oats and the flavored milk. Stir, then cover and let sit in the refrigerator overnight. In the morning, stir, then divide into two portions. Garnish with mini chocolate chips, and crumbled pieces of cannoli shell. Serve immediately. Got leftover oats? Make Quaker Oats Vanishing Oatmeal Cookies! Me too! It would have been a shame to miss out on such a heavenly treat. What can I say other than great minds think alike! My breakfast this morning was Quaker Oats, except I had mine plain with fresh strawberries. I love eating overnight oats for breakfast. 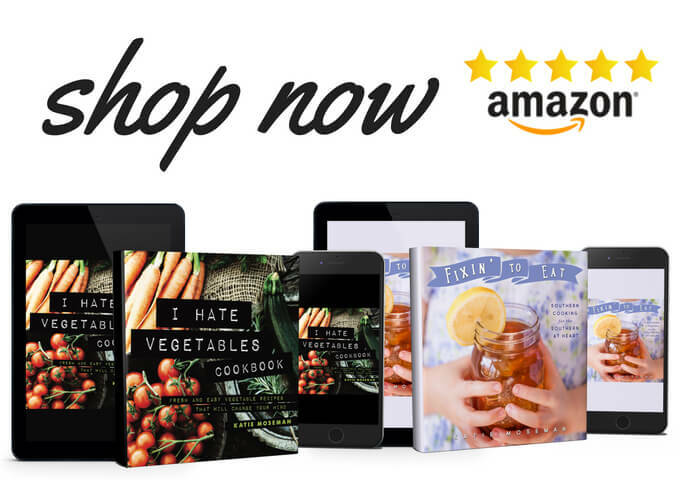 Your recipe looks great and I bet it tasted great too! Yum! That looks so good! I actually just bought some Quaker Old Fashioned Oats yesterday! Now I need to try this! Perfect timing. I hope you like it! I have never tried Cannoli before. Like you I normally go for Tiramasu. I need to give this a go. great recipe you have there, i will definitely give it a try! my best friend and I are overnight oat meal fans, we tried a lot of flavor, we even put bacon in!!! it doesn’t taste good though! thanks for the information about the sweepstakes too! march 16 huh… i gonna hurry! This looks so tasty and hearty for the mornings that are still a bit chilly. 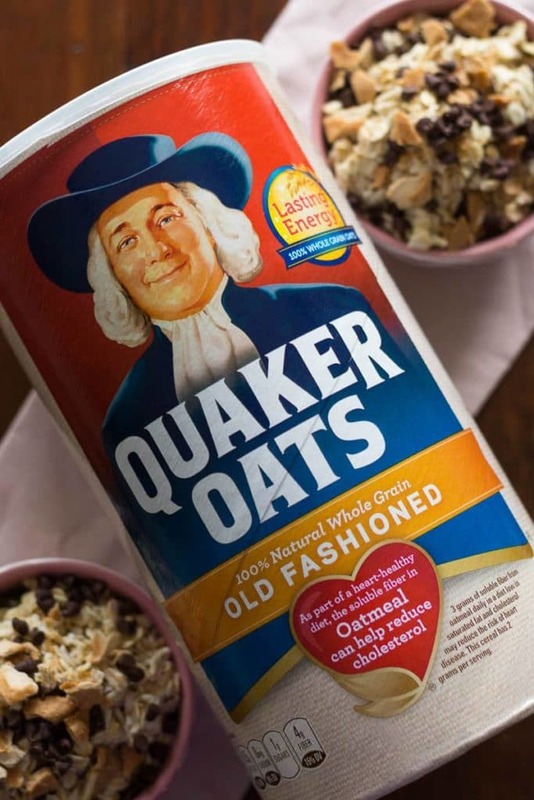 You can’t beat Quaker Oats for flavor and healthy! I think that this would be a great one to kick off our roadtrip in a few weeks. It’s definitely hearty enough to get us way down the road before the next meal! Yes, definitely hearty! And the chocolate makes it fun. I’m a big oatmeal fan, too. Oatmeal, oatmeal cookies, oat pancakes… you name it. Thanks! I was really happy with these pictures. The little pink and white bowls worked out well. This looks delicious! Do you happen to know the nutritional info? Not off the top of my head, but half of the recipe (one portion) is probably about 375 calories, depending on how much chocolate and cannoli shell you throw on as garnish. To reduce the calories, use 1/4 cup part skim ricotta instead of mascarpone- that will reduce it significantly! Where in the heck is the recipe for this!??!! Hi there! Sorry about that! For some reason, the recipe stopped displaying. I fixed it just now- you may need to refresh the page or clear your browser cache to view the updated post. Thank you for letting me know that it wasn’t working.